Common App onTrack, a free mobile app with over 4500 daily users, has been recognized as one of 36 apps that can save you money in a recent article on Time.com. The app, which 3Pillar Global helped design and develop, was listed alongside other well-known applications including Mint, Zillow, and Amazon. The Common Application has over 700 member colleges and universities, each with its own set of application requirements. 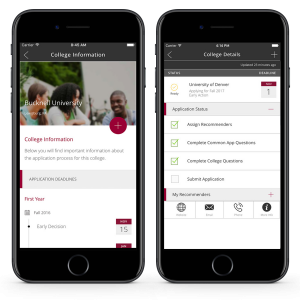 Common App onTrack, the mobile companion to a student’s Common Application account, allows students to explore the requirements of each college, organize the list of colleges and universities to which they would like to apply, and manage letters of recommendation. The app includes features such as college submission status view, reminders, and push notifications that help students organize their outstanding tasks and remember upcoming deadlines 24/7. You can read the complete article on Time.com, and you can learn more about The Common Application on their website. You can also download Common App onTrack app for iOS on iTunes or for Android on the Google Play store. This post was written in conjunction with The Common Application. You can read the post on their website here.